If you listen to any genre, you’ve heard them – the three primary song plots. You’ll notice they increase in complexity as you move from Attitude/Emotion to Situation to Story. For example, pop songs tend to be “Attitude/Emotion” song plots (to paraphrase Gillian Welch, you can get ready for a date listening to them). “Situation/Circumstance” song plots are a bit more grounded in reality, but still do not have a discernible time line. “Storyline” song plots are literally just that – a story with a timeline. 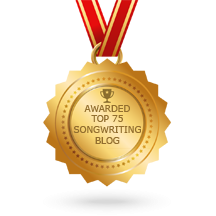 For your songwriting, the plot type should be something you determine early. Your lyrics will be constructing the plot, so choosing the type at the outset is important. Great news! There are only 3! Interesting to note that Barbara Mandrell had a country hit with this song too.